This little sculpture titled 'Miniature Silver Birch with Fox' is made from steel and mounted on a hardwood timber block. 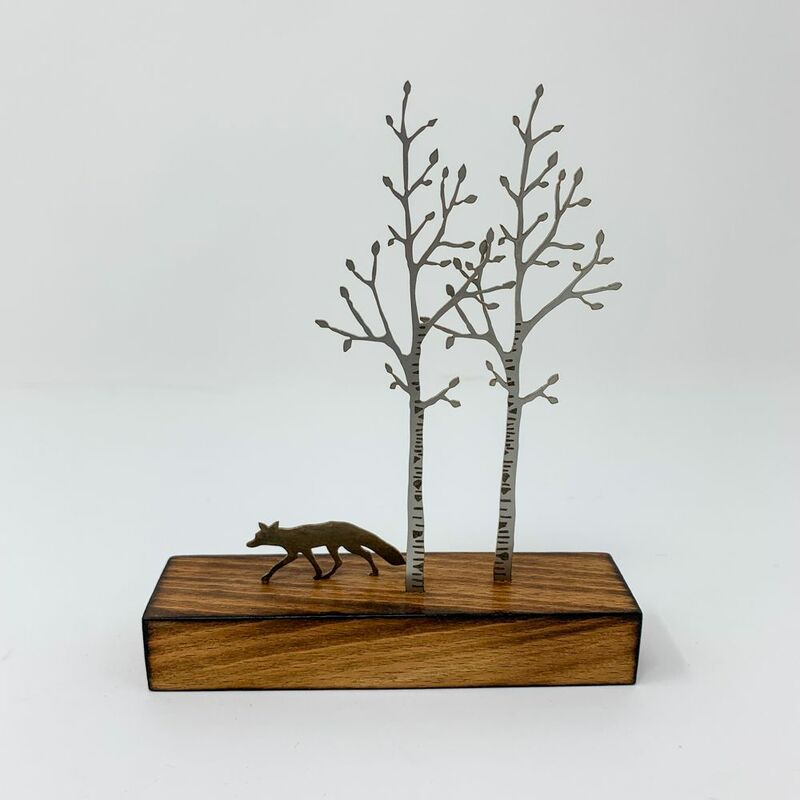 David sculpts mainly in metal from his studio in Yorkshire, drawing inspiration from trees, woodland and the great outdoors. Size: 11.5cm x 13.5cm x 3cm approx.